Begins tomorrow! 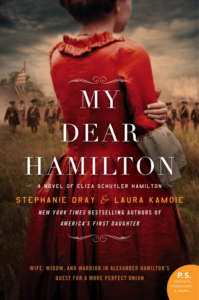 I’m so excited to share all the amazing bookstores, historical sites, and other fine hosts for our upcoming national tour for the release of My Dear Hamilton! For more information, visit my Events page or the Tour Event on my Facebook page. Stephanie and I hope to see you along the way! Order a Signed Book for the Holidays! 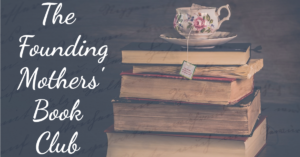 Hi everyone – Just a quick note to let you know that I’ll be appearing at Nora Roberts’s Turn the Page Bookstore in Boonsboro, MD on October 28. I’d love to see you there, but if you can’t attend, please consider ordering a signed or personalized copy of the book before October 27. Mark Your Calendar! We’re Chatting Live!